We know how much time and effort our fans put into their Seasons, Franchises, and Road To The Show players. 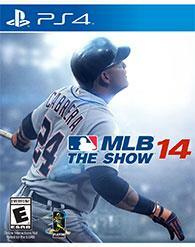 So beginning with MLB 14 The Show, you can now carry over your saves to future versions of MLB The Show. MLB 14 The Show lays the foundation for year-to-year saves, meaning you never have to worry about starting your Franchise or Road to the Show seasons over! Thanks to the power of PS4, MLB 14 The Show is going to be the most beautiful baseball product we’ve ever created. For some of you, full 9-inning baseball games may be too long for your liking, so we’ve created an all-new Quick Counts option, which utilizes generated pitch counts allowing gamers to play through full games faster than ever. Realistic statistics in this shortened gameplay experience have not been compromised. Users will now be able to play a full 9 inning game in less than 30 minutes, essentially cutting traditional game times in half. We think Road To The Show is the deepest, most realistic single-player experience in sports video games, and we’re making it even better. A few of the new features include a new advancement system, new intuitive player creation process, and all new pre-draft prospect showcase. And finally, what makes baseball great are those “big moments.” The power of PS4 will allow gamers to share those moments using the new “share feature” by capturing and publishing their most thrilling baseball moments, from hitting a game-winning grand slam, to picking off a runner at first for a crucial win in a World Series game.